Effective driver assessment is an ongoing challenge for transportation companies. 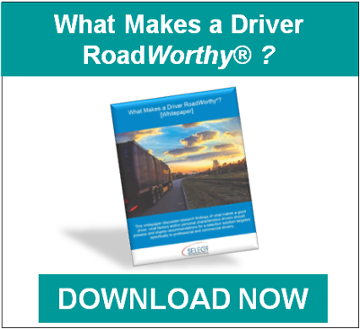 RoadWorthy® is a driver assessment that helps you identify the best candidates for commercial driving positions. This truck-driving test is administered at the top of your hiring funnel, before you commit more time, money and resources into an applicant. The short, inexpensive driver assessment enables you to identify and eliminate high-risk candidates from your hiring process. Based on extensive research in driver performance and safety, the RoadWorthy truck-driving test tells you the extent to which your candidates are likely to be reliable and dependable, or likely to be aggressive, impulsive and prone to costly incidents. This easy-to-administer, commercial driver test provides different recommendations regarding the potential fit of candidates to long-haul, short-haul and route-driving jobs, respectively. More and more companies in the Transportation industry are facing another difficult challenge – how to ensure that all of their drivers are proficient in English. A minimum level of English Proficiency is a requirement of all commercial drivers in the U.S., according to the Federal Motor Carrier Administration (FMCSA). Learn about our English Proficiency Test. Given the urgent need to seat better and safer drivers, you need a truck-driving test to help you select the best drivers in an efficient, affordable way. Request a complimentary demo to find out how RoadWorthy can help your organization.